Everyone knows that a great product image is worth a thousands words. How about having 2 or 3 or even 4 great product images! We have enhanced our Dropship eBay plan to support multiple images per item. Of course this option will only be available for suppliers that do provide multiple images, in which case all additional images for any given item will automatically be added to your eBay auction. These days more and more suppliers are providing multiple images per items, especially in the apparel and lingerie and shoes industry, however it is important to note that not all suppliers provide multiple images. This new feature will only be applicable to products that do have multiple images give by the supplier. Notice the additional 3 images displayed as thumbs below the main image. We hope this enhancement will help you increase your sales on eBay. Please let us know if you have any suggestions on how to import our eBay dropship plan. As always, we always welcome your suggestions. Growing entrepreneurs have been using eBay as a backbone to getting their businesses off the ground for quite some time although it is only recently become incredibly popular. The eBay site allows you to get a quick turnaround on your products, without having to set up your own website or do a lot of marketing and branding. In this article we will give you 5 simple tips which have proven to help tremendously in achieving great success on eBay. Please read the simple tips described below. They are very simple and straight forward and will certainly help you gain a good status on eBay fairly quickly. The end of the weekend is the time for people to be at home relaxing before their busy work week starts. By ending your auction on Sunday night, you allow the people lounging at home to see your products and have a fair chance at buying them. Keep time zones in mind and set your close time to accommodate the whole country. When it comes to selling things online, a picture is definitely worth a thousand words (or dollars hopefully). Using stock photos or sample pictures from other websites can seem too retail. If you take a nice, clean picture of the actual product you are selling, buyers are more likely to bid on it. Providing more than just 1 product image will also make your auction stand out and show buyers that you have good intentions in selling your products. Please make sure that you upload images that are very clear and of a minimum size of 500px either on the width or on the height. This will ensure that your images comply to the new eBay image policy. Non compliance of this policy may result in having your auction removed. Be approachable in your selling style. If you love what you do and have faith in your product, it shows! Your customers will keep coming back for more products if you treat them like genuine people instead of customers. Positive feedback from customers will attract new buyers as well so make it an absolute goal to achieve the highest positive feedback as possible. It might be a little bit of a pain to deal with returns and unsatisfied customers. But if you do it without argue, odds are the customer will try to buy from you again. If you make it hassle free and easy for the buyer, it should just be a small hiccup and future buying should not be an issue. The whole concept of eBay selling is unique and it should not be taken too seriously. Yes, you are trying to run a business and sell your products but if customers think you are too professional and businesslike, it may turn them off from buying. Be social and make it known that you are there to establish relationships with buyers and introduce new products to them as often as you can. When it comes to dropshipping, selling on eBay is certainly one of the best places to get started. 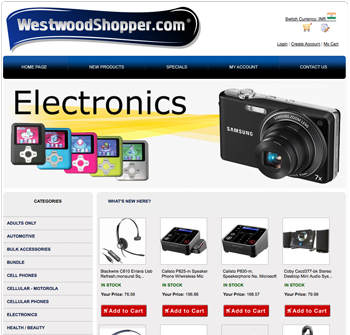 If you also need a great source of dropship products I urge you to go to wholesale2b.com. You will find products from tons of dropshippers loaded into one single portal. It’s very convenient and you are guaranteed the lowest wholesale prices. You will also find a great eBay listing tool which is great for pushing tons of dropship products to your eBay account with just a few clicks. No buyer wants to shop in the dark. One of the greatest online bidding sites, eBay understands customers want to see what they are buying online. The new polices for listing products on eBay calls for good quality pictures, which help the seller optimize sells through the site’s Best Match default sort order for search results. Wholesale2b is working with their suppliers to seize this opportunity for speedier sales success through eBay image policy compliance. Best Match is designed to increase sales and build eBay’s reputation through better experiences for buyers. In order to comply with the new image policy all listings must have a picture of the item for sale. The compliance rules call for a picture to have 500 pixels on the longest side, borders and added text are no longer allowed with the exception of watermarks for attribution, and stock photos aren’t allowed. Catalog images are still usable as long as these are not as the primary photo for a non-new item for sale. The exceptions to these rules are movies, music, books, and video games. Video game consoles must still follow the new rules. As you know not all suppliers provide images greater than 500px however wholesale2b is working towards having this addressed one supplier at a time. You will now see a new column on our USA SUPPLIER page that will indicate if the images meet the new eBay image policy. Over time you will see more and more of our dropship product images converted to meet this new minimum size requirement. If the new eBay image policy rules aren’t followed by the seller then they will be unable to upload the picture. This is also true for those revising or re-listing dropship products or items posted earlier. This will mean the item won’t be in Best Match, and buyers aren’t likely to see it. A new eBay Photo Center that sellers can visit offers tips on taking pictures buyers are attracted to, and how best to showcase your item for sale. Other criteria helpful to working with the Best Match system includes remembering to list the item description and to list item specifics such as product codes, the item’s brand, part numbers, and other information which will identify products uniquely. Currently over 85% of Wholesale2B items and dropship products comply with the new rules, but naturally the goal is to convert all images for compliance. Through a complete compliance with eBay image policy it’s possible to reduce frustration on the part of the buyer and increase sales on dropship products or other items. As more suppliers discover the ease of reaching customers and buyers using eBay’s Best Match system the higher the rankings and visits on these posts will be, and the better the sales for everyone connected with Wholesale2B. Please visit our eBay dropship plan for more details about how you can also make additional income by selling great products on eBay. Here are a few fun facts that may answer this question quickly. There are over 100,000 new ‘buyers’ that join eBay every single day! eBay has an existing customer base of 240 Million users constantly looking to buy dropship products from YOU! Over 1,000,000 people are making a living on eBay from the comfort of their home! When you sell on eBay you really don’t need to worry about generating traffic to your website. The only thing you need to worry about is choosing the correct eBay category for your auction to target the proper audience of potential buyers and let eBay do the rest for you. This item sells between $325 and $400 on eBay. Our wholesale cost to you is only $286. Make between $39 to $114 profit each time you sell it. If you haven’t yet started selling on eBay then you are missing out! To get started all you need to do is login to your free wholesale2b.com account and activate the eBay dropship plan. You will have immediate access to over 1.5 Million dropship products at low wholesale prices that you can sell on eBay for profits. As of June 2013, eBay has a new policy regarding the image quality of products posted on eBay. The new policy requires that product images be at least 500px on the larger side of the item. To accommodate this new policy, we have made changes in our eBay listing tool to include images of proper sizes however not all suppliers provide large enough images to be enlarge to this minimum sizing requirement. For such cases we will use the original image sizes however we will display a warning message indicating that the image does not meet the eBay standard policy. It will be up to you do decide if you wish to proceed with creating the auction. Meanwhile we are doing our best to ask suppliers with small images to provide large images. The majority of the products will have sufficiently large images to meet this new policy imposed by eBay. Checkout our products and wholesale prices if you are interested in selling products on eBay using dropshippers. You won’t have to spend a dime to review our products. We make sure that we get products with the absolute lowest wholesale prices. As you know when you create auctions on eBay you are required to enter the configuration parameters of your auction each and every time you create a new auction. This is very acceptable when you are selling a small number of products and different products each time, however it can become a tremendous amount of repetitive work if you are selling the same products over time. To help our members, today we added a new feature to our eBay listing tool to allow members to save their auction settings per item. This will make it much easier for members to re-auction the same item without having to re-enter the same auction configuration each time. Saving the auction configuration per item is very simple. Once you have completed the steps and completed the push to eBay using our tool, you will be presented with an option to save the auction settings for that particular item. To save your auction configuration simply click on the new green button “SAVE AUCTION SETTINGS” on the very last page of the push to eBay steps and your auction settings will be saved for next time you push the same item to eBay. Once you have save the auction configuration for any given item, those will be displayed on your auction list with a new SAVED ICON. This new icon will help you determine which products on your list has saved settings so you can easily push that item once more to eBay in no time. Of course you will also have the ability to update the save settings anytime you wish. Simply re-click on the SAVE AUCTION SETTINGS on the very last page of the auction push if you wish to replace the saved settings with the ones you just used for the new auction. I hope you will enjoy this new feature. Today we added a new option to our eBay Dropship Plan to support eBay Motor. Since we have many automotive products in our catalog, it certainly makes sense to have the option of pushing products to eBay Motor. eBay Motors is a specialty site from eBay that has a focus on items such as automotive parts, cars, motorcycle parts, floor mats and a wide range of vehicular products. To push a product to eBay Motor simply login to your wholesale2b account as usual, and click on the left menu eBay Plan. From this page click on the button Push to eBay. You will see several option in the next popup, one of which will be eBay Motor. Simply click on the eBay Motor button and follow the push steps. You will be able to choose specific eBay Motor categories from the auction configuration page. To start using our eBay listing tool please click on the link below. Not only will you get a great eBay certified listing tool, you will also get access to over a million products from various dropshippers already integrated in our wholesale portal. In fact you get everything you need in just one place, meaning an eBay listing tool, all the products you need with true wholesale prices, the actual names of all our integrated suppliers, and our order fulfillment services is also included. This means that we can process orders for you directly with the suppliers hassle free. We also handle returns and exchanges for you. The idea of drop shipping through personal websites, or by the use of internet purchase and auction sites, such as Amazon and eBay, may be a comparably new concept that has gained in popularity as the internet and particularly, internet purchases have increased, however, internet drop shipping is merely the modern representation of a sales technique employed by catalog distributors and sales people for many decades. Using the internet as a means of displaying other people’s products, and goods, whilst incorporating a percentage of profit for yourself, gives you the greatest opportunity of reaching a wide audience quickly, and with considerable ease. If you are looking for ideas on how to make money online, perhaps you should consider starting your own drop shipping website. There are many websites that offers you the chance to join their expanding clientele of drop shipping suppliers and start to earn real money on every single purchase made from your website, eBay shop or Amazon page, with the minimal amount of effort, or time. Drop shipping is becoming a popular method of making money online, with no stock issues, which in turn means very little risk, or set-up costs, people are beginning to discover an easy method to make money online without a product or service to sell. If you already own a blog, or website, you could be turning those visitors into cash simple by offering them relevant and associated products on your pages. 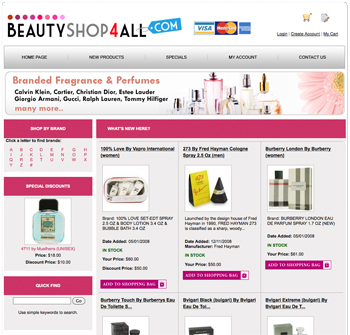 Each time a visitor buys a product you earn money, no stock control, no shipping, no hassle. With the correct products, at the right time, it is possible to use eBay auctions as a potential source of income, without any financial risk. Drop shipping makes many people a lot of money on a regular basis, the key to success is to become a good middleman between those suppliers who ship the goods, and the people who purchase them. Having successful, trusted and well established suppliers to ensure swift and satisfactory delivery, is paramount to this success. This is why its imperative that you deal with reputable suppliers only. This will help you avoid any issue, as it may well be if your customers order goods which fail to turn up, as can be the case with less respectable service providers. How does this work you may ask? Once an eBay bidder wins your auction or decides to buy the item you posted with a “buy it now” option, the order is then placed with the supplier and you keep the difference between the selling price and the purchase price, as your profit. The manufacturer, or supplier then ships the goods to your customer via Fedex or UPS delivery service. This is all done anonymously so your buyer will think you shipped the product yourself. Drop Shipping can be as easy, or as complicated as you wish to make it. Here at Wholesale2b.com we take all the hard work away, you simply choose the niche market you would like to concentrate on, and choose the products you wish to advertise from our list best essay writers in internet of highly respected suppliers. It couldn’t get much simpler than our offer to even build your site for you! If you are looking for ways to earn an extra income from the internet. Click on the link below to review our eBay Dropship Plan which is especially designed to integrate with over a million products from true wholesale dropshippers. You will gain immediate access to all our integrated supplier’s products as well as the eBay listing tool all in one place. Our eBay listing tool is designed to help you push items to eBay easily without having to copy/paste any product images or descriptions. In fact you simply need to pick items from our catalog of over 80+ integrated dropship suppliers to build your auction list. Then you can push those items to eBay very easily. In a effort to keep our eBay listing tool compliant with changes made by eBay, we constantly make revisions and improvements. Recently eBay has made some changes that affects certain eBay categories when pushing products to eBay. This change now requires that we pass on products attributes such as size, color, etc. We have applied an upgrade to our eBay listing tool to accommodate this new change. From now on, when you push products to eBay with the wholesale2b eBay listing tool, you will automatically be prompt to enter the required attributes that eBay needs depending on which eBay category you choose. This new upgrade has already been applied and it’s available to all wholesale2b members using the eBay plan. There is no download needed; simply keep using the eBay listing tool as usual and you will see new attribute input boxes appear when they are required by eBay. eBay had already added the Twitter button and Facebook like button in 2009 however they were almost impossible to find. Now the FB like button appears on top of the page and directly under the listing title. The FB Like button is not included in all of the eBay category. Only a few are currently using it, such as the Postcards category. We look forward to seeing the FB Like button on more eBay categories soon.